The U.S. Army Natick Soldier Research, Development and Engineering Center, Department of Defense Combat Feeding Directorateis partnering with Augusta, Ga.-based FPL Foods to develop a meat product that uses an innovative dehydrating process, according to an article posted on the Army website. The continuous osmotic dehydration processor was installed FPL’s facility in Cayce, S.C. in May. 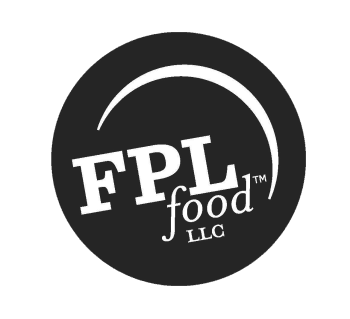 Combat Feeding and FPL Foods are now developing an array of products with the new technology and recently drafted a cooperative research and development agreement to outline their efforts. The Association Pour Le Development De L’Institut De La Viande, a French Technical Center for Meat, in Clermont Ferrand, France, originally developed the continuous osmotic dehydration process. By investing in the equipment and developing the product, the DoD is delivering a new process — and new products — to American industry, according to the article. The meat is ground, then dehydrated, or cured, in a continuous osmotic dehydration process that is less expensive than producing beef jerky and has more health benefits, too. Flavor and nutrients are added when the meat is being ground before it enters the dehydration process. “The meat is extruded into a thin sheet on a sheet of parchment paper on a conveyor system. It is then pulled through an osmotic solution [composed of sucrose/sodium chloride/water] that extracts moisture,” explained Tom Yang, a senior food scientist on the Food Processing, Engineering and Technology team at the Combat Feeding Directorate. The finished product resembles a Fruit Roll-up, a candy item developed in 1983. The meat product has a quality that may redefine the jerky/meat stick market, according to Randal Garrett, chief operating officer for FPL Foods. “About three years ago I went to the International Institute of Food Technologists Exhibition,” said Yang, “A French company was marketing osmotic dehydration as a continuous process. This process is very novel, and I think, ‘This has potential for application to military rations.’” “The First Strike Ration is designed for the first 72 hours of deployment — so called ‘eat on the move’ ration. I think a product made from this new technology can be a very good fit,” he added. 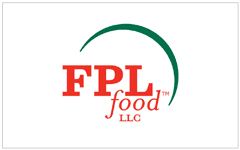 FPL Foods revamped an area in facility to house the equipment and is supplying manpower to develop the products. Combat Feeding supplied the FCT funds to invest in the equipment. “To our knowledge this is the only system like this in the United States,” said Garrett. “For us to be competitive we have to be on the leading edge. We’ve done our initial development — six runs so far — and consumer marketing is coming, once we have a variety to show,” he added. Yang estimated the product will be ready for military test and evaluation in about eight months.